2.LŌV No. 2 – What’s so super about blueberry? Having been used for thousands of years in Ayurvedic and Chinese traditional medicine for its therapeutic and preventive effects, ginger is definitely the everyday power spice you want to have in your diet. Where does it get its curative properties from? From its essential oils, gingerols and other phenolic compounds found in the root, from which its pungent and aromatic smell also derives. Ginger has a long history of use particularly as an aid to digestion: it makes everything a little tastier and easier to digest and fills your belly with warmth. We LŌV it. These warming characteristics have a settling and soothing effect on the digestive tract, and for this reason it can be really useful in relieving indigestion and other digestive complaints, including nausea, vomiting and even morning sickness. And if you ever experience bloating or gas (don’t worry, you are not alone), regularly adding fresh ginger to your diet can be a very effective tool for the elimination of excessive gas. Fresh ginger has potent anti-inflammatory properties and can provide relief from pain and swelling in those suffering from rheumatoid arthritis, osteoarthritis, or general muscular discomfort. It has also been shown to relief muscle pain after workout, menstrual pain and headaches. Many regular users report that it is just as effective as ibuprofen and with none of the side effects! Ginger is powerfully revitalizing for your entire body, stimulating your circulation both deep in your core and in your extremities. Especially now that winter is coming, please don’t forget your friend Ginger: its antimicrobial properties defends you against pathogens and invaders and it’s one of the best way to warm your entire body. It is particularly beneficial for cold and flu as it helps clearing excess mucus from your upper respiratory tract, including the throat, nose and sinuses. The root of this magic spice contains remarkably high levels of antioxidants, surpassed only by pomegranate and some types of berries. This helps to reduce excessive oxidative stress (an imbalance in the production of free radicals and the body’s antioxidant defenses) which has been associated with many chronic and autoimmune diseases, including cancer and diabetes. 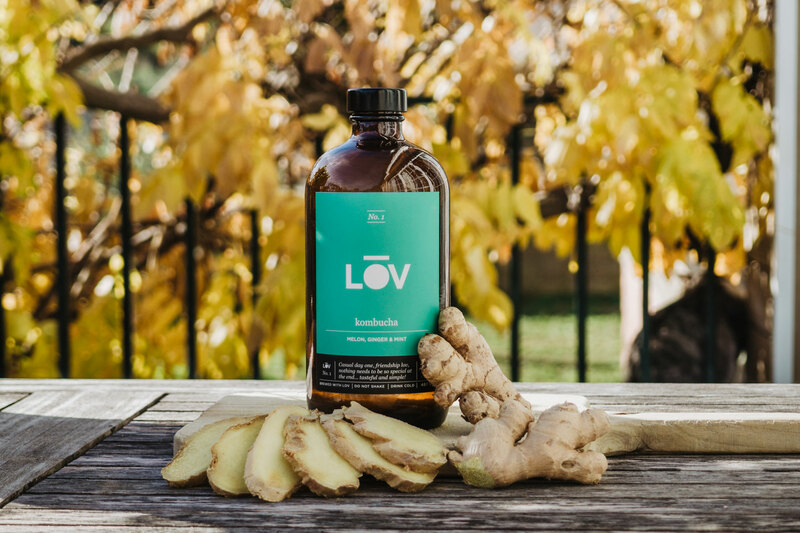 Oh and before we forget, here at LŌV we obviously prefer to use fresh ginger over dried ginger because of the higher content of beneficial gingerols, helping us stay hotter!!! next post: LŌV No. 2 – What’s so super about blueberry?